Height 26 in. (66 cm), bloom 5 in. 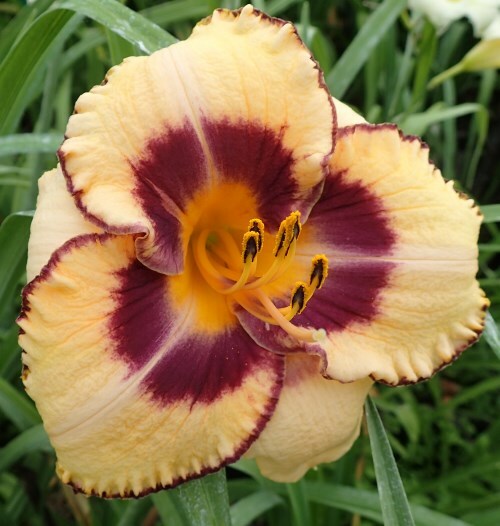 (13 cm), season EM, Rebloom, Evergreen, Tetraploid, Fragrant, Cream yellow with purple eyezone and picotee above green throat.